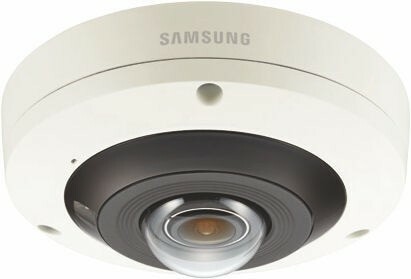 The PNF-9010RV is a 9MP indoor fisheye camera featuring Hanwha's WiseStream technology. Additional features include True D/N, triple codec H.265/H.264/MJPEG, people counting and heat map analytics, SD card slot (up to 128GB), 2-way audio, built-in mic, simple focus, PoE/DC dual power, IK10 and IP66. The PNF-9010RV is ideal for situational awareness, and applications requiring a wide area of surveillance.